Smith & Smith will help you regain financial stability. We Are dedicated to helping individual and business debtors file Chapter 7 and Chapter 13 Bankruptcy. We protect the rights of personal injury victoms, handling claims involving Motor vehicle accidents, medical malpractice, premises and product liability, nursing home negligence and more. Personal injury clients are entitled to a free initial consultation. 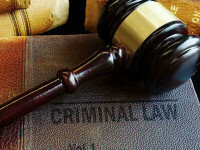 We represent individuals in criminal matters ranging from DUI to serious felony charges. 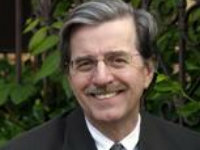 Attorney David O. Smith can provide you with the dedicated representation that you need. We represent individuals and businesses in a broad range of civil disputes, including claims involving Premises Liability, Defective Construction, Consumer Protection, Breach of Contract, Property Disagreements and more. ... can result in extensive medical costs and lost wages, resulting in financial hardship. Smith & Smith wants to help people achieve outcomes that keep family bonds in tact. If you're involved in a legal dispute, contact Smith & Smith to protect your rights in court. If you’re having difficulty with debt, you may be able to find relief through bankruptcy. We provide aggressive defense for people who have been charged with a crime. We can assist with estate planning options and draft a last will and testament. At the law offices of Smith & Smith in Corbin, our attorneys have protected the rights of individuals and businesses since 1978. Our goal is to serve you. You will always work directly with one of our attorneys and your calls will be personally and promptly returned by a lawyer. We will always provide you with an honest and realistic assessment of the probable outcome of your case, as well as your likelihood of success. To set up an appointment or speak with an attorney, call us at 606.528.5001. The initial, in office, consultation is free for clients with personal injury or bankruptcy concerns. Personal injury: We protect the rights of injured people, handling claims arising out of motor vehicle accidents, medical malpractice, premises liability, product liability or nursing home negligence. We also handle wrongful death claims. Family law: We work with married or unmarried parents, handling all issues related to child custody, visitation and support. 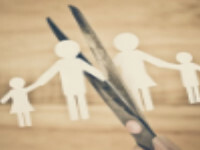 We help clients resolve all disputes involved in a contested or uncontested divorce, including alimony, or spousal support, and the division of marital property and debts. We also handle adoption proceedings and termination of parental rights. 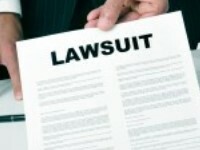 Civil litigation: We represent individuals or businesses as plaintiffs or defendants in civil disputes, from breach of contract or boundary or property line disputes, to personal injury, bank lender liability or disputes with your insurance company. We do not represent insurance companies. Bankruptcy: We handle all matters related to Chapter 7 or Chapter 13 proceedings for individuals or businesses, for debtors and creditors. Criminal Defense: We represent individuals in criminal matters ranging from DUI to serious felony matters.